Award-winning and pioneer filmmaker Ayoka Chenzira (aka Ayo) has always known that we need stories that compel us to change our world — and to see it with renewed eyes. Her stories are timeless. Along with the films of her peers Julie Dash, Charles Burnett, Billy Woodberry and Haile Gerima (artists who created works within the L.A. Rebellion period), Ayo’s work has also helped to usher in the concept of Black Independent Cinema in the post-Oscar Micheaux and Melvin Van Peebles eras, and prior to the wave of commercial Black films in the 1990s. While working in New York as an independent filmmaker, particularly between 1975 and 1990, not only was Ayo one of a small handful of African American women making films in different genres and with different technologies, but she used her work to continuously challenge Black stereotypes and promote the belief that African American culture and Black icons are valuable nationwide as well as globally. The beautifully assembled two-disc boxed set contains the work that cemented her title as a pioneer filmmaker impacting the lives of women around the world. 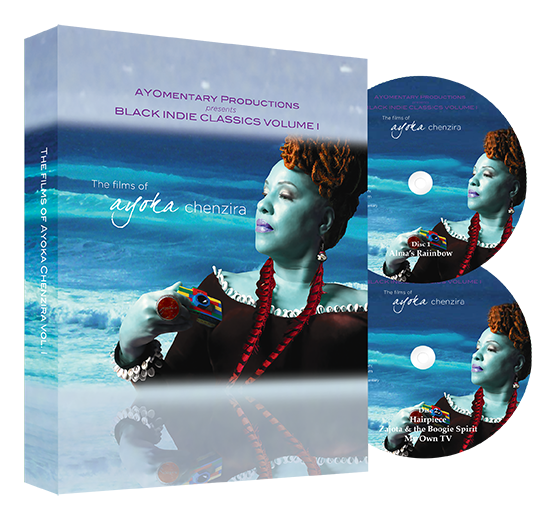 The Black Indie Classics set contains four of Ayo’s early critically acclaimed and award-winning films including one of the first 35mm features to be written, directed and produced by an African American female filmmaker, Alma’s Rainbow (1993), a coming-of-age comedy-drama about a young Black girl growing up in Brooklyn, and satire short Hair Piece: A Film for Nappyheaded People (1984), that taps into how identities are mediated, the politics of the natural hair movement, and growing up Black in urban America. With a lengthy and committed history to independent and experimental cinema, Ayoka’s work reaches across generations into the present day in a way that will excite, intrigue and move new viewers to a renewed sense of compassion.